Aleesoft Free iPad Video Converter is a free ipad video converter. This free iPad converter can help you convert MKV to iPad including iPad HD video, MP4, MOV, M4A, then let you enjoy mkv movie on your iPad. Video container format similar to the .AVI, .ASF, and .MOV formats; supports several types of audio and video codecs; may also include .SRT, .SSA, or USF (Universal Subtitle Format) subtitles and supports VobSub subtitles from DVDs. The Matroska video format has become popular in the anime fan-subbing community (where users create subtitles) since it supports multiple audio and subtitle tracks in the same file. 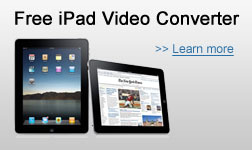 Before converting MKV video to iPad, please download and install Aleesoft Free iPad Video Converter. Step 2: Add video. 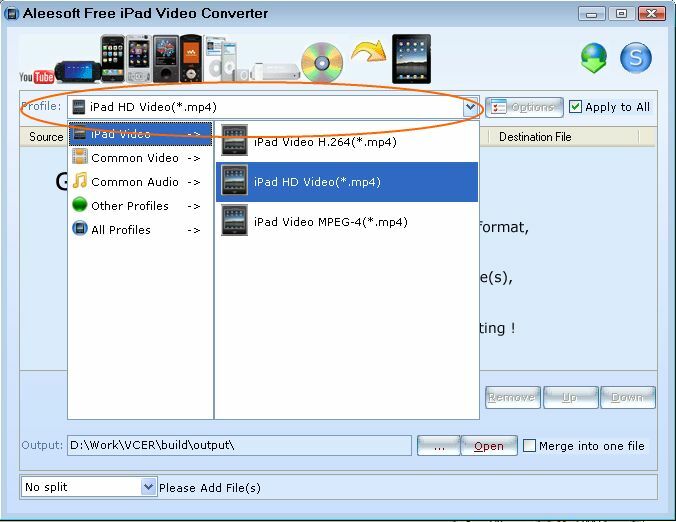 Click "New Task" button to add avi video to this free MKV to iPad converter, also you can drag and drop avi video file from windows explorer into this iPad converter. Step 3: Convert. Click "Convert" to start converting mkv to iPad. After MKV to iPad conversion completed, Aleesoft Free iPad Video Converter can help you add the converted videos to iTunes automatically, then you can transfer the converted iPad video file to your iPad and enjoy.